Publicly humiliating the furry perp would have been some consolation. Which may be why the Tumblr became an Internet sensation after launching last year. Within six days, the first impromptu post inspired more than 940 copycats, er, dogs. 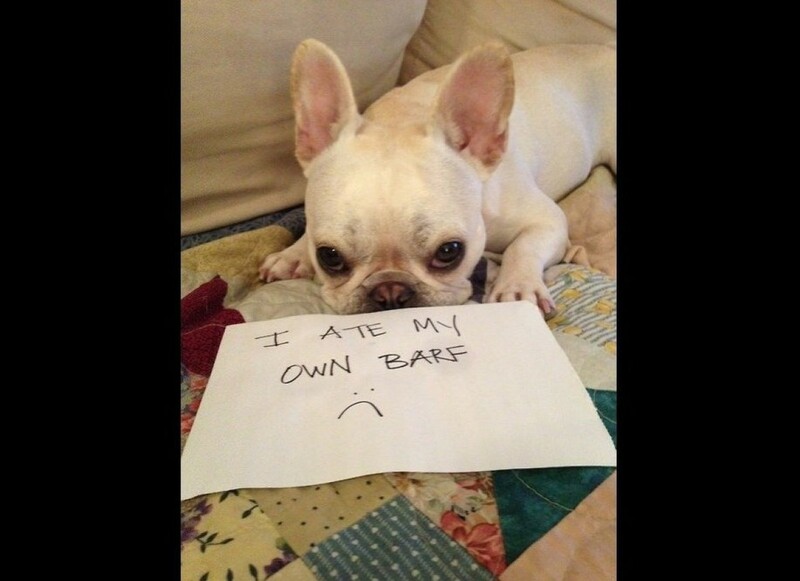 “I ate my own barf." Yes he did. Some unleash a torrent of advice, as with the dog owner who shames her dog for biting her when she tries to trim his nails. “Have you tried using a Dremel?” one responder offers. “Peanut butter on the nose,” suggests another post. “If you hold your dog in your arms and slowly spin in a circle, you can clip his nails easily. The circle motion disorients them so they can’t concentrate enough to bite,” writes the next. 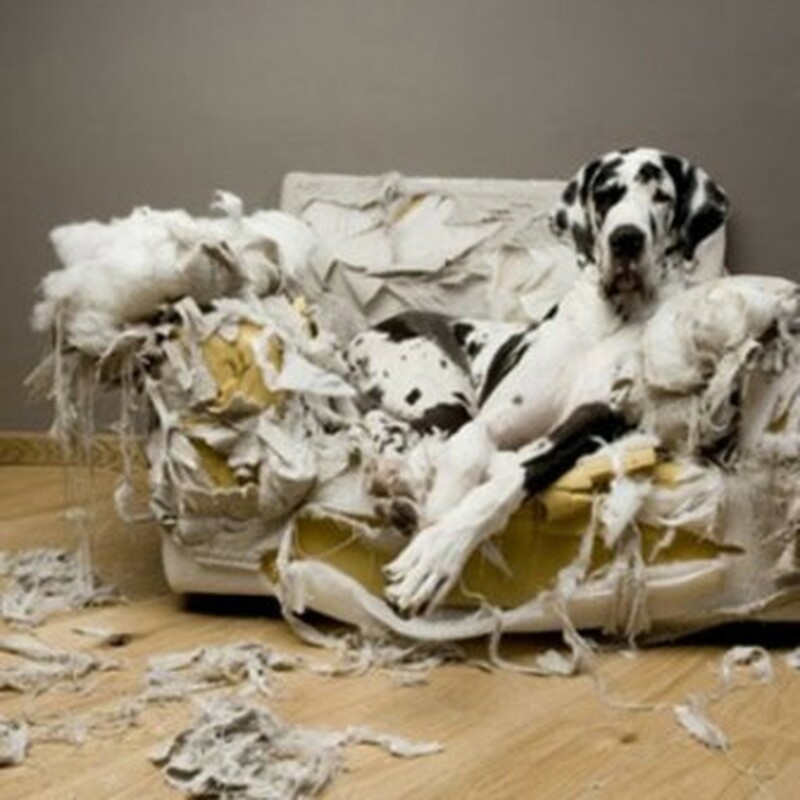 There are some parallels among the canine crimes. For one, they often occur while the mistress/master is in the bathroom. And rarely do the dogs (or the bunny or canary) appear very ashamed. So permit us to suggest that you keep the shoes up and out of reach of any dog under age 2. And don’t go in the shower unless your pup goes in his/her crate.